There’s less than two weeks remaining for RYA OnBoard sailing clubs and training centres to nominate their young sailors and windsurfers for the 2019 Panerai Challenger Trophy (PCT). The joint initiative between Italian high-end watchmaker, Panerai and RYA OnBoard, aims to promote the power of sailing in positively impacting young people’s lives, awarding funding grants to young individuals that have overcome physical, economic or social challenges to achieve significant milestones in their sailing or windsurfing. 18-year-old Nicola Stockdale, was crowned the overall winner of the inaugural trophy in 2018. Having lost her father in 2014, Nicola focussed on her sailing, developing her teaching skills, volunteering as an instructor and devoting more than 500 hours to her local club, Debdale Outdoor Activity Centre (DOAC). “Winning the Panerai Challenger Trophy was just the most amazing experience and such a confidence builder. It’s opened so many doors, I’ve met so many people at all the events, and the grant money has meant I can now get the qualifications I need, whereas before I probably wouldn’t have been able to pay for them,” explains Nicola. Alongside Nicola, three further finalists were also awarded grants. For Ciaran Handforth, who suffers from epilepsy, the grant has widened his sailing experience and opened doors to a potential career in the marine industry. 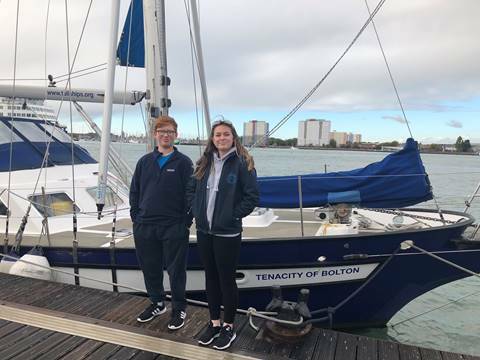 Last autumn, the 13-year-old joined Nicola for four days on the Solent with the Tall Ships Youth Trust, completing his RYA Start Sailing qualification. 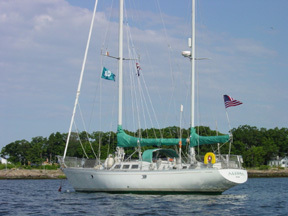 Bea Sparks and Dan O’Connor have used their grants to buy new equipment, with Dan now the proud owner of a new Topper. He commented: “I felt more confident because it belonged to me”. Each of the finalist’s clubs were also awarded grants to purchase new equipment to further support junior sailors or windsurfers. Martin Ware, acting Principal at DOAC explained the impact winning the PCT has had, not just for Nicola but also for their club: “Not only did Nicola win, but she won £10,000 for the centre, which for a deprived, inner-city area was absolutely phenomenal. With that money, we’ve been able to buy two race-ready Toppers and seven windsurfing sails. Run by the RYA, OnBoard is a grass roots programme which introduces sailing and windsurfing to young people aged 8 to 18, through schools, youth groups and training centres. The low cost sessions are designed to promote equal access to sailing for young people from all social and economic backgrounds, whilst encouraging their character development. Panerai has committed to making a total investment of £120,000 to demonstrate the sport's accessibility and to inspire the next generation through the three-year Panerai Challenger Trophy initiative. Each year, the successful individual will be eligible to receive a grant of £5,000 to continue their development in sailing, windsurfing or more broadly within the marine industry. Their club will also receive a grant of up to £10,000 to purchase new equipment that further supports junior sailors or windsurfers. Up to three additional funding grants will be awarded to the runners-up and their OnBoard venues. All of the finalists will be invited to enjoy a day out on beautiful classic yacht Eilean, followed by an awards dinner in London. Nominations close on Monday 01 April 2019. For more information about the award, selection criteria and the nomination process visit www.rya.org.uk/panerai. For more information about how to get involved in sailing visit www.rya.org.uk/go/onboard.